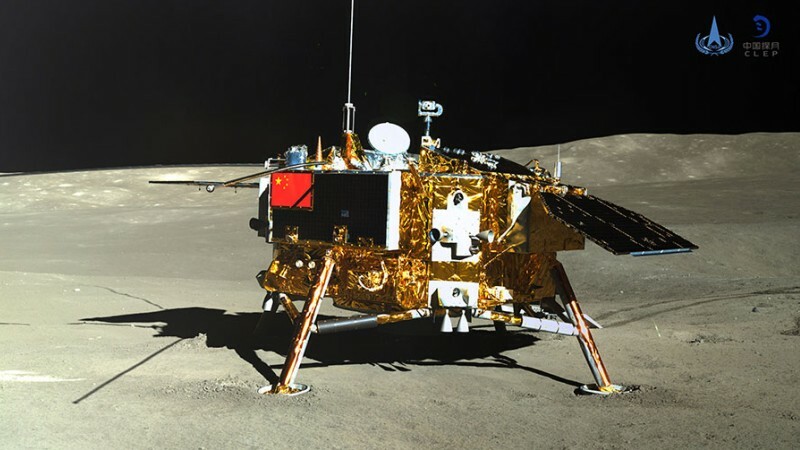 When China landed its Chang’e 4 spacecraft on the far side of the Moon earlier this month, the country wasn’t only set on planting its flag on the surface. Instead, it’s interested in planting actual plants too. On Tuesday, the Chinese National Space Administration announced that it has successfully sprouted a cotton seedling on the Moon’s surface, this according to a South China Morning Post report. It’s the first time vegetation has grown on the natural satellite orbiting our planet. There are a few things to point out though. For starters, the Chang’e 4 didn’t dig a hole on the Moon, drop some seeds, mop its brow and walk away. Instead, the seeds — along with fruit fly eggs, potato, rapeseed, the flowering thale cress, and yeast — are encased in the spacecraft’s Lunar Micro Ecosystem. The ecosystem is sealed off from the Moon’s atmosphere and protected from radiation and wildly swinging temperatures, but scientists hope that the progression of the life within the chamber will reveal if self-sustaining ecosystems are possible beyond Earth. It’s not clear if the cress and rapeseed seeds have also sprouted just yet. We’re also silently rooting for the success of our pioneering fruit fly explorers. The Chang’e 4 mission — the first ever to the dark side of the Moon — is set to last until the beginning of 2020 and also entails gathering data on the satellite, the Sun, and study low-frequency radio waves from outer space.